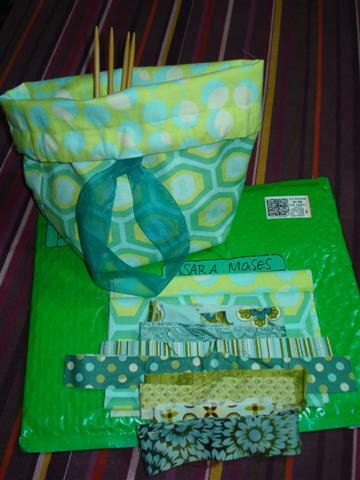 When I got home last night, I found green padded mailer on the table from Maria! Maria and I worked together several years ago at ImagiKnit in San Francisco. She’s quirky. She’s fun. She’s a good cook. She read my post about how I’m always carrying my knitting around in the paper sack the yarn came in. She sent me this gorgeous reversible bag that she made! 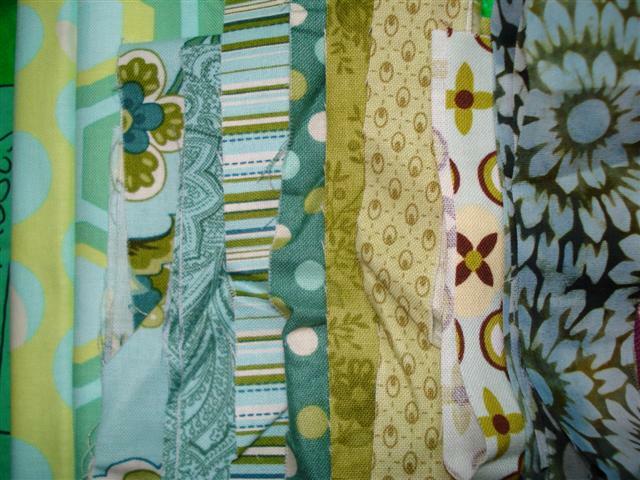 Also, she sent me some scraps of some fat quarters she’s in love with. 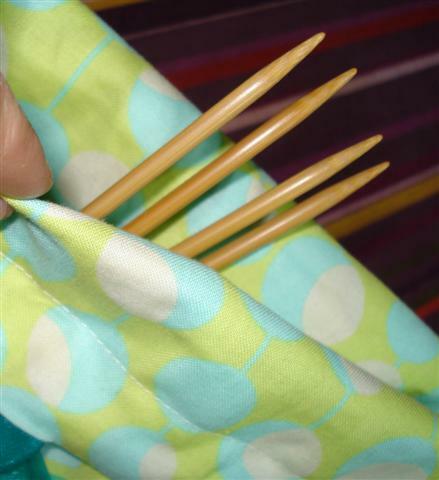 I’ll be finding some coordinating fabrics in my mondo-stash and sending her a little gifty right back.